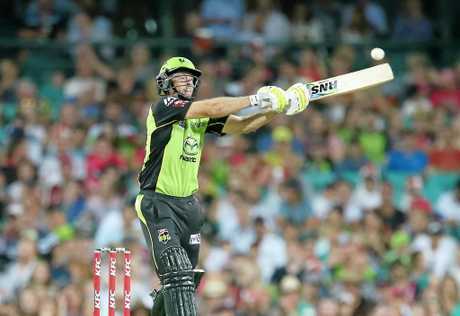 CRICKET: The Big Bash finals picture is coming together. 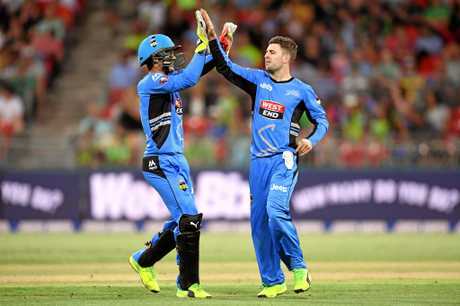 Following Sydney Thunder's Wednesday night meltdown against the already eliminated Adelaide Strikers, we are down to six teams capable of making the finals with three games to go. The Brisbane Heat are still clear atop the ladder on 10 points, with the rest of the top four currently sitting on eight - which has been enough to qualify for the finals in four out of the five previous seasons. 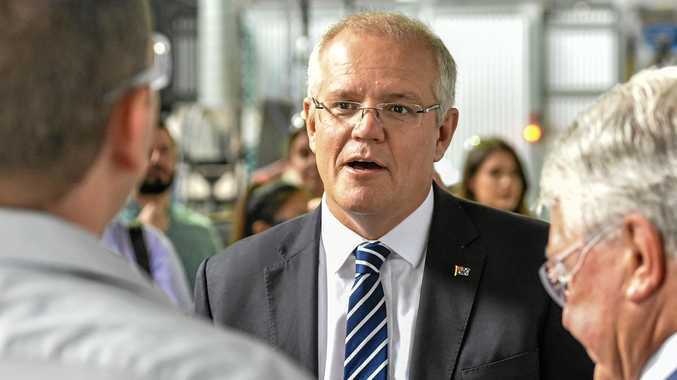 That may not be the case this year, with the seventh-placed Hobart Hurricanes sitting on six points, but only two behind the fourth-placed Sydney Sixers with a superior net run-rate. Remarkably the Sixers could drop all the way from a finals spot to seventh if results don't go their way this week. It's been that type of season. Ahead of the final games of the regular season, we take a look at what your side needs to do to make the top four. 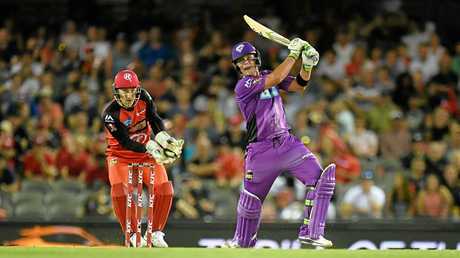 Only once has a side needed more than eight points to make the finals, with 10 needed in BBL04. If we consider that season an anomaly then on average eight points (rounded up from 7.75) and a net run-rate (NRR) of 0.353 has been enough for a side to qualify for the finals. 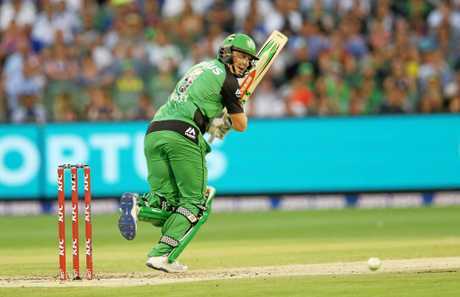 This season, only the Melbourne Stars and Brisbane Heat have crossed that mark, however both could dip below it on NRR if they suffer severe enough losses in their final clashes. Heat fans, rejoice - you're in. After Tuesday night's key win - without the bash brothers Brendon McCullum (suspension) and Chris Lynn (injury), mind you - the Heat have moved into top spot and secured a semi-finals berth and a home final. The challenge now is to keep top spot, which they can do with a win in their final match of the regular season. 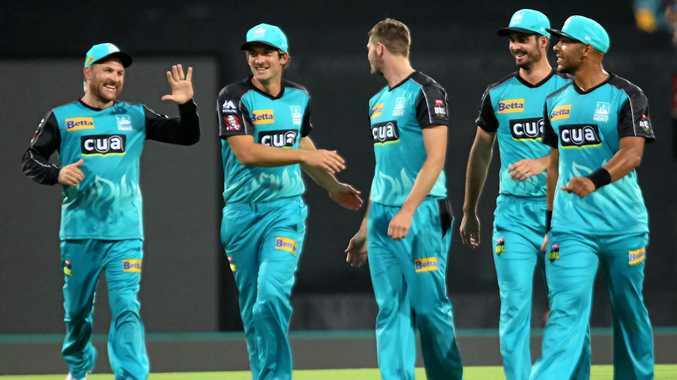 That won't be an easy task, however, as they're coming up against the Melbourne Renegades, who need a win to keep their season alive. Knocked from top spot on the ladder with a loss to the new top dogs, Brisbane, following three straight wins. Should still qualify for the semi-finals, but need a win against the Sixers - a potential banana skin match - to guarantee it. Even if the Stars were suffer back-to-back defeats to finish the season, they would need to lose to the Sixers by a significant margin for their NRR to cost them a spot in the top four. Sitting third on the ladder, it would take a significant swing in NRR for the Scorchers to finish higher than second on the ladder. 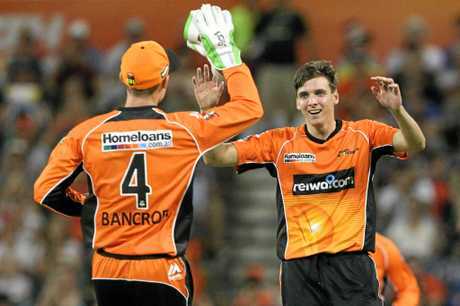 Going by the cut-off of eight points and a NRR of 0.353, the Scorchers needs to win their final match of the season against the Hobart Hurricanes to guarantee themselves a spot in the finals. The Sixers sit fourth on the ladder but have the worst NRR in the competition (-1.062), thanks largely to the hammering they suffered at the hands of Sydney Thunder last Saturday. Like the Scorchers, the Sixers have struggled for consistency, only stringing to consecutive victories once. Weighing against the Sixers is the fact they will be playing against the Stars - who also need a win in their final game to nail down a finals spot. Sorry Strikers fans. Despite Wednesday's thrashing of the Thunder, this season has been over for a while. Sitting sixth on the ladder, the Renegades need to beat the Heat on Friday to keep their season alive, and even if they do that may not be enough to make the finals. A win would guarantee the Renegades enough points and a good enough NRR to reach our cut-off and make the finals in three out of the five previous seasons. Unfortunately for the Renegades, McCullum will be available for the Heat on Friday. 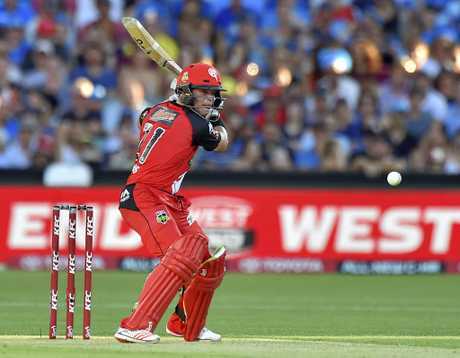 And Peter Nevill won't be, as he recovers from the freakish accident suffered in the win over the Strikers in which he was struck in the face by Brad Hodge's bat. 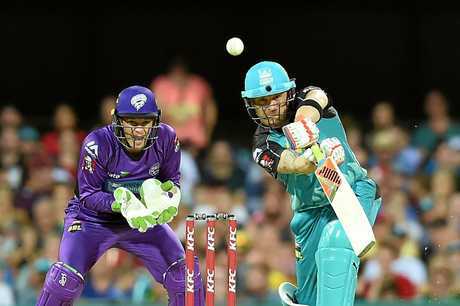 The Hobart Hurricanes could finish the season dead last. They could also finish it in the top four. To do that they'll need to beat the Scorchers. Realistically they need all three of the Sixers, Renegades and Thunder to lose as well due to their inferior NRR. The Hurricanes have not won consecutive games all season. The Thunder started their season by losing four games in a row. Then they won three in a row. But they copped a pasting in their final match - leaving them in last place. And with the worst NRR in the competition, the defending champions have the wooden spoon almost certainly sewn up.